On Friday, Venezuelan President Nicolas Maduro announced a new single exchange rate for the bolivar that’s pegged to the Petro virtual currency. 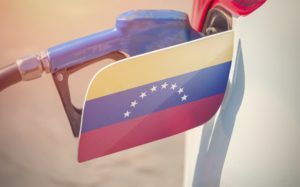 Under the new guidelines, one Petro would equal $60 dollars, which means the nation’s currency is essentially devalued by 96 percent. Amid immense political and economic turmoil in the South American nation, Venezuelan President Nicolas Maduro recently proclaimed a variety of economic overhauls during a speech broadcast on state television.